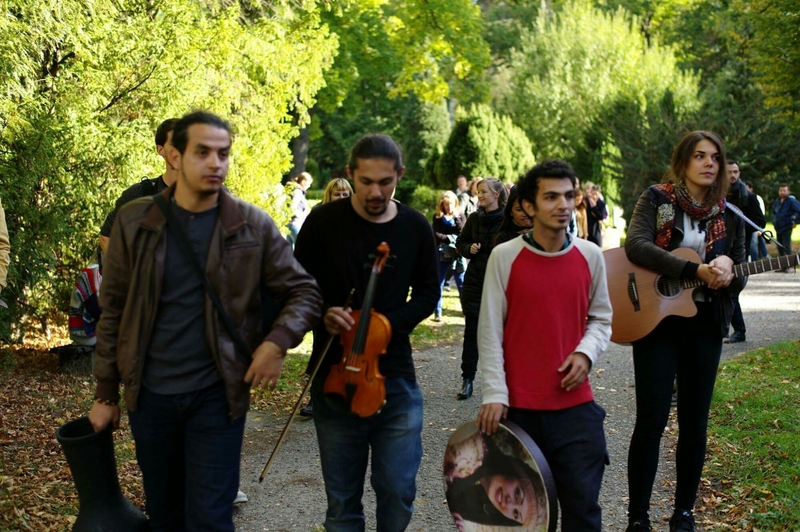 Mazzaj Rap Band is fully supporting the protest and its aims. do you want freedom? that is the first question the jailers ask you before they start torturing you saying that is the freedom that you deserve. i responded in the second anniversary of the Syrian revolution yes and we want all our detainees and we want Syria to be a country for all its citizens. Today the 29th of October is the international day against the so called honor crimes. Peace Love And Freedom From Syria and the world is the next coming concert for Abu Hajar From Mazzaj Rap Band where he’ll be performing some of his Rap songs with English subtitles, then later in the show Give Me a Paper will be performing some songs where they mix different genres together.